Being Frugal and Making It Work: Are You Red Carpet Ready? Wholly Guacamole & Daily's Cocktails Giveaway! All Daily’s flavors are made with real fruit and the freshest ingredients: succulent strawberries, luscious lemons, creamy coconuts and more. 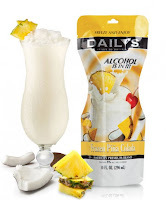 My personal favorite: Piña Colada - coconut and pineapple perfection! Just freeze, squeeze, relax and enjoy! With the Oscars upon us, have you made any predictions? Who are you most excited to see walk down the read carpet? This giveaway will end March 15th at Midnight EST. 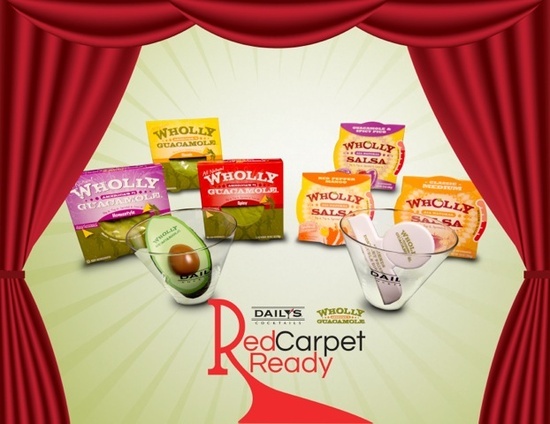 Disclaimer: I received a complimentary Red Carpet Ready prize pack from Wholly Guacamole & Daily's for the purpose of writing a review and hosting a giveaway. Regardless, I only recommend products or services I use personally and/or believe will be a good fit for my readers. The views and opinions expressed on this blog are purely my own. Results may vary. No monetary compensation was received. I'd like to try strawberry daiquiri. I'd like to try the classic guacamole. I'd like to try the Pomegranate Acai Margarita flavor. I'd like to try the Wholly Salsa® Mild dip. I would like to try Frozen Strawberry Daiquiri. I would like to try Wholly Salsa® Pineapple dip. Frozen Strawberry Daquiri for me! Wholly Chunky Guacamole for me too! Yum! I'd like the homestyle dip. The Strawberry Daiquiri sound delightful to me! I'd love to try their Pina Colada! I'd love to try Wholly's Roasted Tomato Salsa! Wholly Classic Guacamole for me! I would like to try the Wholly Mild Salsa. Wholly Classic Guacamole would be fabulous! I would love to try the Pineapple Salsa Dip! I would like to try strawberry daiquiri. I would like to try the classic guacamole. I would like to try Wholly Salsa Pineapple dip. I'd like to try the Spicy Guacamole. I'd love to try the Peach Daiquiri. I've never tried guacamole before, so I think I would like to start with the classic guacamole. I would like to try the Yum worthy guacamole. I would like the Light strawberry Margarita. 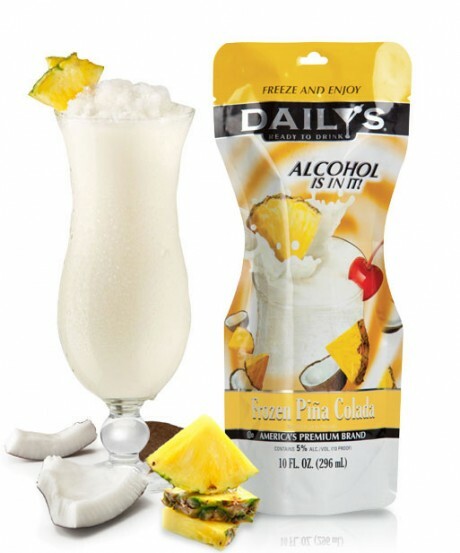 The Piña Colada sounds good to me. I would like to try the Original Frozen PouchesLight Strawberry Margarita. I would like to try the Clasic guacamole. The Pomegranate Acai Margarita sounds good to me! I'd like to try the pineapple salsa! I would like to try their Long Island Iced Tea. I want to try the Strawberry daquari. 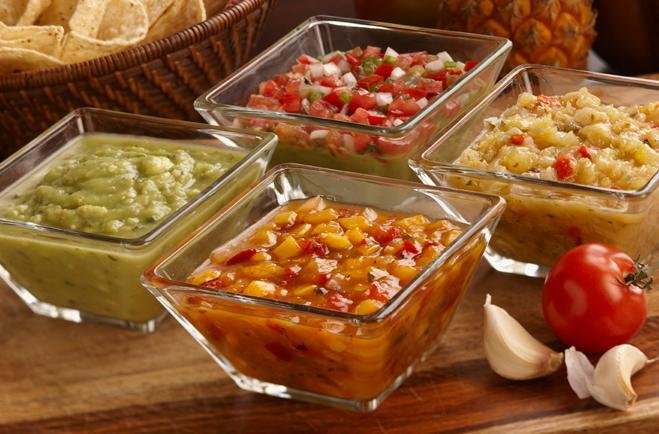 I'd like the salsa medium dip. I'd like to try the hard cider. I haven't tried the original Margarita yet, so that's my pick. I'd like to try the Wholly Salsa: Guacamole and Spicy Pico dip. I like the margarita mix regular one and many more! Would love to try their classic! I'd like to try the Wholly Guacamole Classic Dip. I'd like to try the strawberry daiquiri. Thanks for hosting! I'd love to try the 100 calorie guac packs. I like the guac with pico de gallo! Id like to try the light strawberry margarita. I'd like to try the Wholly Avocado Chunky dip. I'd like to try the Red Pepper Mango Salsa! I'd like trying the frozen hard cider. I've never seen it in the stores and would definitely love trying it! Mild salsa dip looks good! Oooh I wanna try the Peach Daiquiri! Red Pepper Mango Salsa sounds amazing! I'd like to try the Strawberry Daiquiri and Wholly Queso! Definitely the pineapple salsa - sounds delicious! I would love to try the light strawberry margarita and the spicy guacamole! I would like to try the Homestyle Guacamole. I'd like to try Margarita. I would love to try the Light Strawberry Margarita.